The following is a list of the biggest changes in the All-New Triathlete’s Training Bible. It really is “all new.” That’s not just a marketing ploy. The only thing that stayed about the same was the chapter topics. But even that changed a little. Writing it took me a year and half. That’s because it is almost twice the size of the original going from about 75,000 words in the first edition in 1998 to more than 140,000 now. I’m pleased with how it turned out. But the most important thing is that I hope you find it helpful for your training. That was my motivation for taking on such a huge task. Here are the biggest changes. The single most important change is that it is now easier to personalize your training with several periodization options for planning your season and workouts based on your unique needs and preferences. The original Training Bible offered only one way of doing everything. This alone makes the book a much more valuable reference when preparing for a triathlon. The increasingly popular technologies of power- and pace-based training are discussed from various perspectives such as understanding how they can be used to improve race performance and how they can be blended into your seasonal planning. The science of training has expanded considerably in recent years and you will learn how to apply the newest of the proven concepts to improve your race performance. This includes TSS-based training that is becoming quite popular among serious endurance athletes. And with good reason: It’s a much more effective way to gauge training load. Skill development, especially for swimming, is one area where age group triathletes typically are overwhelmed with overly granular information—most of it intended for elite athletes. In this latest edition swimming skills are simplified to four basic movements that you can easily master and result in faster swimming immediately. Illustrations accompany the discussion of this. Bike and run skills are also included. The strength program is updated to provide more options on how to best develop the functional strength to swim, bike, and run more efficiently and more powerfully. If you are time-constrained, as many triathletes are, you’ll find that not all strength training needs to be done in the gym. Much of it can be done in the sport without the need to lift weights. That greatly decreases the training time needed for those who are already very busy. For those who want to follow a gym-based strength program the exercises are updated to provide the most benefits for the time invested along with alternatives when time and energy allow for them. All of the options are explained with both the pros and cons along with illustrations. The unique recovery needs of the busy and serious triathlete are described in detail to help you design a personalized plan for bouncing back after challenging training sessions. The effective analysis of training data is critical to the continued improvement for the triathlete who has high aspirations for the sport. In this edition new ways of looking at training information are discussed with an eye to examining just the right workout data to more precisely train for high performance while limiting the time for analysis. The swim, bike, run, and combined workouts in the appendices are expanded to include power and pace in addition to heart rate along with simplified explanations. Options for how they may be used in your training program are also included. I hope you like my newest book. Please let me know what you think of it. 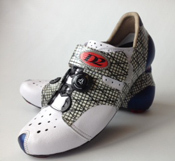 I'm a road cyclist who use to do running and trail running as cross training in fall/winter. With little specific training I did my first 50k trail a few weeks ago, and next season i'd like to do both bike and (ultra)trail-running races, not stopping running at spring anymore. I absolutely loved your cyclist's training bible but now i'm looking for something to program the next season doing regularly running and cycling, do you think i could use your triathlon's bible's as a base to train for both these sports, perhaps modifying the periodization of disciplines depending on the kind of event i target? Because i'd like to progress from a "cross-training mode" to a multi-sport one but need the training bases to do so. Joe, any plans to also update the cycling bible? Alternatively, how useful would the new triathlon bible be for roadies/TTer? Thanks! Axel Sautter--I'm currently rewriting it in its entirety. On chapter 4 of 14. Should be on the shelves in about a year. 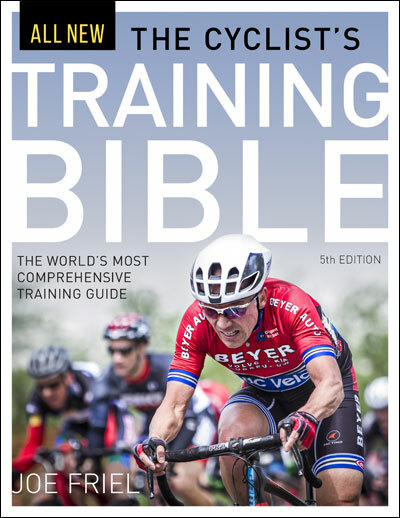 I'd be highly suspect of using the Triathlete's Training Bible as a guide for a roadie except in the most general of applications such as understanding the basics of training, but not specific details. can't--If the road events are moderate steady states then yes that should work ok. If they are variably paced with considerable anaerobic efforts then no. Is your new book better suited for amateur triathletes, or is it also suitable for elite triathletes? From what I read in the reviews, it seems that it is more suitable for amateur triathletes, unlike the 4th edition, which was more directed to elite triathletes. Carlos Nobrega--It's mostly intended for age groupers. But there are some sections I believe that elites would get a good deal of insight from, such as the chapters on periodization (esp block), breakthrough workouts, and crash periods. 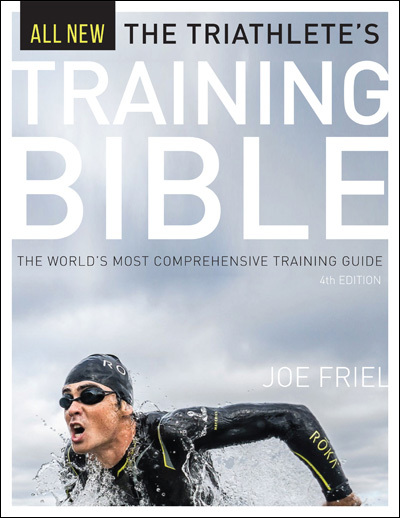 What book are the best for competitive triathletes or elite triathletes? Carlos Nobrega--Sorry but I don't know if any such books. Is there an eBook version? Weslley--Publisher just told me today it's almost done. So any day now. I'll announce it on twitter. Hi Joe - I haven't read the previous editions, but in Ed. 4 you use Coggan's 20min test to calculate FTP and FTPa values. Is this your current recommendation? I thought I'd read on your site that the 30min test (without any 5% adjustments as per Coggan's) is your current recommendation. Sorry if you've answered this elsewhere! Matt J--There are _many_ ways to estimate FTP. The 20min test is the most common. I've read your edition of the training bible in preparation for my first ironman in july 2018. Loved the book. I've got a question regarding the tables for annual hours and tss please. Using the guide for annual training volume, the higher end suggested goal range to "finish the race" is 700 annual hours and/or 30,000 tss. Taking the Prep period as an example this translates to 12 hours per week and 480 tss per week. However, even if I had to do all the 12 hours in the prep period in Z1, this would equal a TSS score of 720. I appreciate that these do not need to equate exactly and are just guides, but the difference from 480 to 720 sound to significant to be correct. MyGuideMalta--A formula for determining workout TSS is IF squared x duration in hours x 100. The average IF over a long period of time, such as a period of training, for nearly all athletes, is 0.70. So plugging that into the formula means that average per hour is 49. So the total for an entire season of 700 annual hours is 34,300. My 30,000 was just a rough estimate. Change it to be more specific to your needs but keep the 70/hour on average as a reference point.